Adapt or develop within a leadership role that contains surprises or changes that challenge their customary ways of managing and coping. Together we “behavioralize success”. My job is to take you beyond an intellectual conversation “about” change to the actual experimentation with new ways of working. Far too many people have been “parachuting” their way through their careers. Launch a job search. Land a job. Then launch another search when something unforeseen crashes the job….and land another job. This is known as spending your career “finding-one-job-in-a-row” . Let the Three Questions Model give you a bigger theory of the game, the ability to think a few moves ahead and the capacity to stay aloft in your career instead of exhausting yourself on the short-sighted “launch & land” approach. It’s About Developing vs. Defending…. For individuals, simply striving for longevity in your work or organization eventually devolves into defending your occupational borders against the natural forces of change. Our work together will produce viable alternatives. Organizations and leaders now face the biggest challenge to their talent management strategy….multiple generations….succession planning….inadequate sources of trained management talent. We’ll develop ways to manage the gap between the talent you have and the talent you need instead of passively ignoring the issues or waiting for something to magically get better. For individuals, a career strategy is the tailored suit of insights and planned actions that fit you and who you’re becoming. It’s one way you start to “dress for success”. Organizations and managers are going to be left behind if all they know how to do is strive to work harder. Style adjustments can free up time and energy and inspire different results from your self as well as you team. Accurately identify what is unique about your talent. Get rid of outdated or inaccurate concepts about you or your work. My goal is to increase your satisfaction and reduce your suffering at work. Here’s the experience I bring to this work. This represents a contemporary example of development and the shift from “jobs” to an emphasis on doing the “work” that is needed by organizational clients, communities, and individuals. It enables him to speak of and demonstrate principles important to the field of career management, organizational leadership, and the process of change and transition. 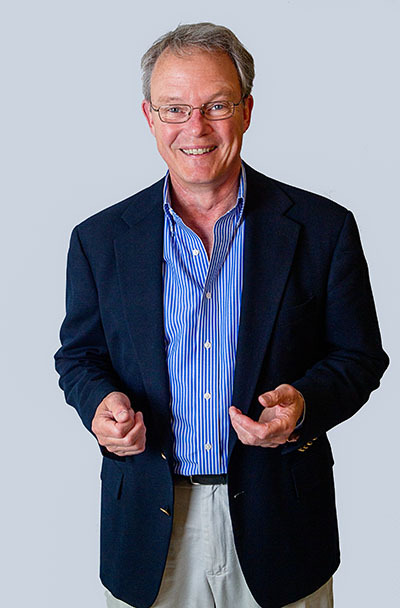 As a career and management consultant (and President for Life of Three Questions Consulting), Bruce combines business systems experience with his clinical psychology background to address the needs of individuals, in a range of different professions, who are managing other people, organizations, and their own career development. Bruce is a speaker at professional associations and conferences and also lectures at the university level in multiple MBA programs. Bruce has extensive and diverse industry experience as an internal and external consultant, member of corporate staff, and regional management. Arenas of work have included electronics, financial services, footwear/apparel, e-business, utilities, health care, legal, education, non-profit community services, international civil engineering, and global outplacement. Managing change and transition began with Fluor Corporation while acting as the Director of Employee Assistance. Subsequently, as Director of the largest Employee Assistance Program in American public education, he managed the delivery of services to 37,000 employees of the L.A. Unified School District. Then, while a member of regional management for a health care company, he successfully helped manage the merger of three companies into one of the first managed healthcare companies on the West Coast. Staffing, recruiting, career and management development, management training, succession planning, and organization development services have been delivered on an internal and external consulting basis within such Fortune companies as Tektronix, adidas America, Hewlett Packard, Stoel Rives, Knowledge Universe, Wells Fargo Bank, and PacifiCorp. Organizational clients have ranged from startups with eight employees to companies with over 10,000. Fifteen years of individual coaching clients come from diverse occupational titles ranging from CFO’s to engineers and boat captains to college faculty, administrative staff, sale & marketing professionals, human resources managers and people contemplating an entrepreneurial venture. He has held both staff and management positions within the health care industry and the human resources field and brings rare business line-management experience to his work as a coach. Bruce has a B.S. in Industrial and Labor Relations from Cornell University, with emphasis in organizational behavior and psychology. In addition, he holds a Masters Degree of Science in Clinical Psychology from California State University, San Jose, and is active in the Institute of Management Consultants (IMC), American Society for Training and Development (ASTD) and the National Career Development Association (NCDA). Last but not least, he is an artist (painter/photographer), musician (percussionist/vibraphonist) paddler, sailor, navigator of canals in France and major fan of Bernese Mountain Dogs…and dogs in general.